When you hire Z Logic to provide network administration for your small business expect an intelligent, disciplined addition to your management team that can communicate effectively and provide sound advice and services. In addition to lengthy field experience troubleshooting, designing and maintaining networks we bring our secret weapon. We enjoy our work. Unlike many so called service companies you won’t need to send out a search party when you need us. We pick-up our phones and respond to all emails promptly. We are available 24/7/365 for our contract customers and off-hour service is available to all on an emergency basis. Whether you need a one-time consult or ongoing network administration, Z Logic brings a wealth of experience, dedication and out-of-the-box thinking to help you make the most of your IT investments. If you believe that a network is just a bunch of computers connected by cables to share the internet – you need a network administrator. It is true that sharing an internet connection is one function of a small business network, but it should be a great deal more. Many business owners know you can share printers and files over a network, but did you know you can share scanners and fax machines? 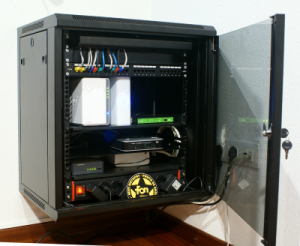 There are also many new devices that can extend the capability of your existing network. For example, the cost of NAS (network attached storage) devices have come down in recent years making them accessible to most small businesses. These devices provide secure storage for data and backups. Some can even act as personal cloud servers – an excellent solution if you need a way to easily share large files with clients or associates over the internet. There are also a number of mobile devices and other creative ways to use your infrastructure that will enhance the way you sell products or promote your services. These are just a few ways a good network administrator will improve and enhance the use of your network resources. 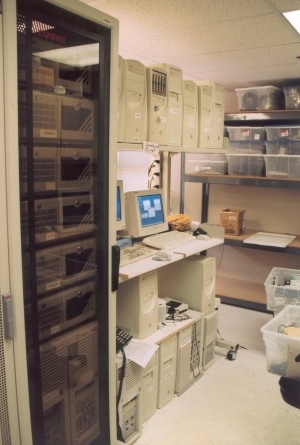 Many networks suffer from outdated thinking or equipment. For example, the cost of internet bandwidth has decreased sharply in recent years. It you haven’t explored the alternatives, you may be overpaying for an under-performing connection. 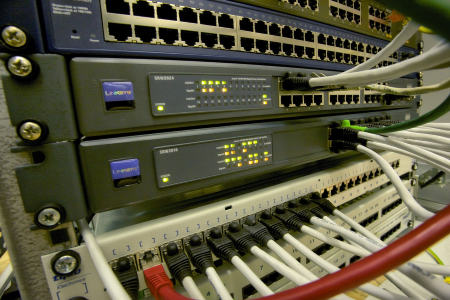 Some companies regularly upgrade their bandwidth but fail to upgrade related routers, hubs or switches so they don’t get the full benefit of the improved connection. One of the worst ideas anyone can hold on to about small business networking is “don’t fix it if it isn’t broken”. They see an organized computer room or closet and believe all is well. Unfortunately, most computers and network devices are simply not designed to last beyond five years so ongoing maintenance and upgrading is essential. The lower maintenance, repair and migration costs that come from replacing computers and other infrastructure devices on a regular schedule (known as a refresh cycle) almost always beats the perceived savings from using a computer until it fails. Top of the line hardware is great if you have the need and the dollars, but an experienced network administrator will save you money by using high-quality, lesser known devices without unnecessary bells and whistles. If you store medical or financial data on your network, there are serious consequences to using older, less secure technology and practices. Even if you have no special regulations to follow, it is important that you safeguard your employee, customer and financial data from prying eyes. If you don’t have proper network administration in place to keep software and equipment up-to-date and secure, you are exposing yourself to numerous risks. Many of our customers hire us to do a security audit once or twice a year. Others have us do essential maintenance such as weekly backup checks and installing software updates on servers. We work with you to design a program that reflects your needs and budget. The most important words in networking are simplicity and best practices. Properly applied, these concepts result in the lowest TCO and ease of management for your network. In short, our job is to use all of our resources and skills to insure that your network is the safe, efficient engine of productivity that will help you meet and exceed your goals. Call today for a free consultation.